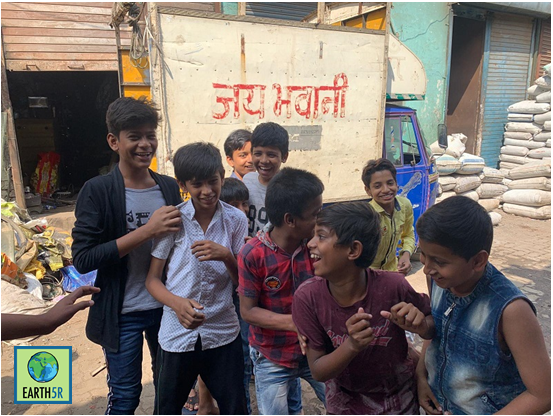 Earth5R, as a part of it’s ACT Powai program for livelihood generation for underprivileged communities and women empowerment, conducts surveys of slum localities to understand people’s lives, economic & social conditions and health, hygiene & sanitation. The surveys give a realistic idea of the problems faced by the residents in the slums as individuals, as well as a society at large. On-site survey is considered important as it also helps Earth5R team understand the social issues & devise possible sustainable solutions. 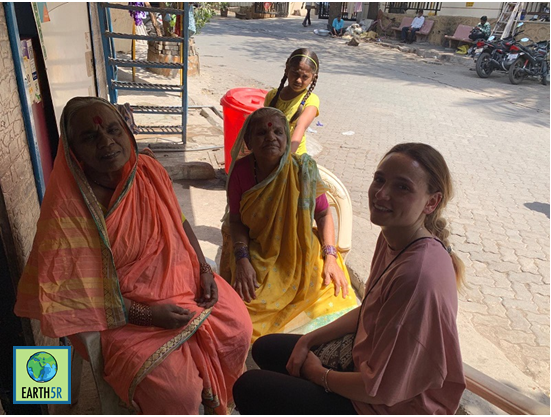 The survey was conducted by interviewing individuals and simultaneously filling in google forms by citizen volunteers: Miss Rebecca Pisani, a citizen volunteer from Malta & Miss Purva Mhatre. 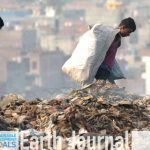 The survey was a part of Global citizen volunteering program for sustainable habitats. Each of the slum areas has a distinctive feature. The Ramabai Ambedkar Nagar has around 1000 families residing in its campus. Encircled by a road from all the sides, this part is easily accessible. 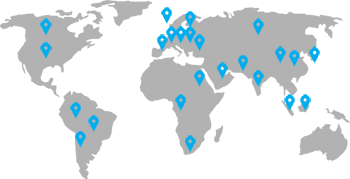 A peculiar feature about this area is that it is located on a slope with the relatively better-offs living on the upper side and the others on the lower side of the slope. The reason being – waterlogging of upto 3 feet high in the monsoon. Patel Colony seems to be budding with new hutments being set-up. 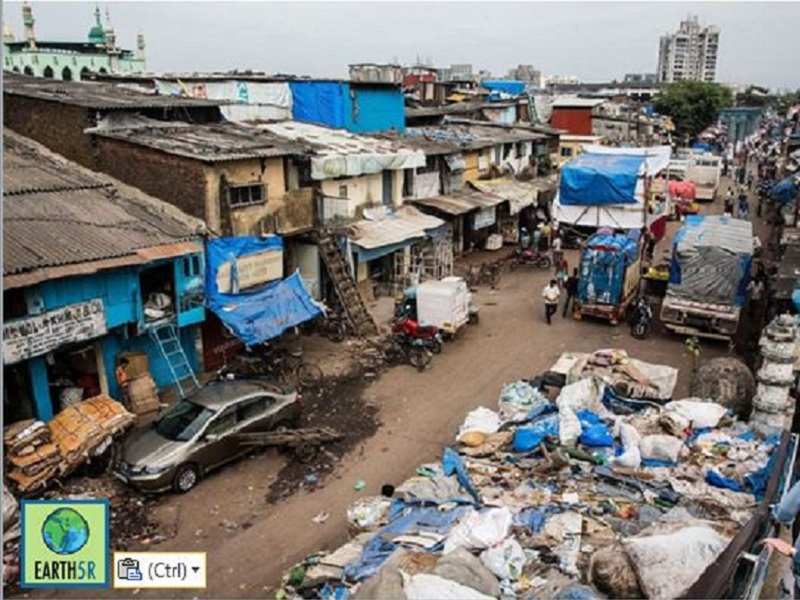 These hutments are located right in front of Slum Rehabilitation buildings, which implies more and more people were moving in the city to search for better lives. 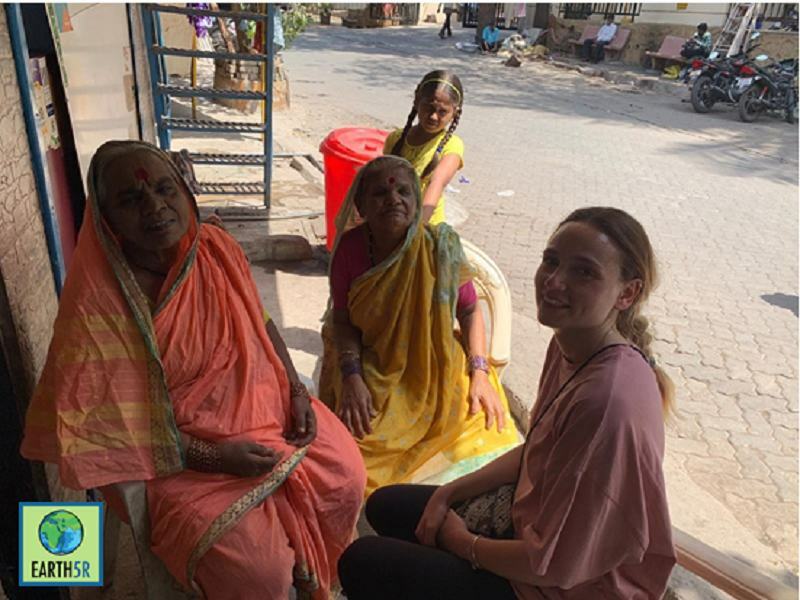 The Hanuman Mandir area is home to more than 2000 families. The lanes here are intricately woven one inside the other making it complicated to determine the exact number of houses. The slums here are setup on a slope, but each gradient is separated by stairs making it appear like a giant staircase from the outside. Chandivli Rishi colony lies on a prominent road with around 1500 families. The houses of the people living here were relatively better as compared to their counterparts in other slum localities. Each average family is composed of at least 8-10 people & 3 working people. Almost 45% of the people have less than primary education. Fortunately, the new generation children have been studying and being a part of the formal mainstream workforce. 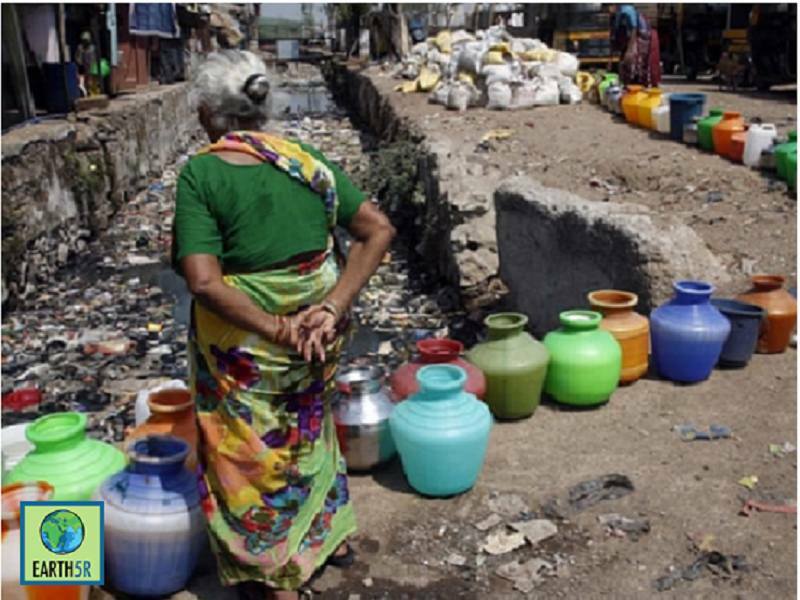 The major issues faced by people living in these communities are lack of reliable source of earning. Almost 45% of the working-age people are self-employed, owing to small shops, housekeeping, working in the unorganized sector, etc. The other 25% are employed in the formal sector. The rest 30%, majorly comprising women, are unemployed. The unemployed women were very much looking forward to sources of earning to add whatever meager amount they could add to the family income. One positive side of the population in these alums was that almost every adult has a bank account. But unfortunately, we could not survey a single individual with an insurance or Mediclaim. The area has uninterrupted power supply. The water supply is just for 2 hours each day. Water has to be filled in drums and stored for the days use. Some houses are privileged to have attached washroom, however, majority of them have to share common ones. 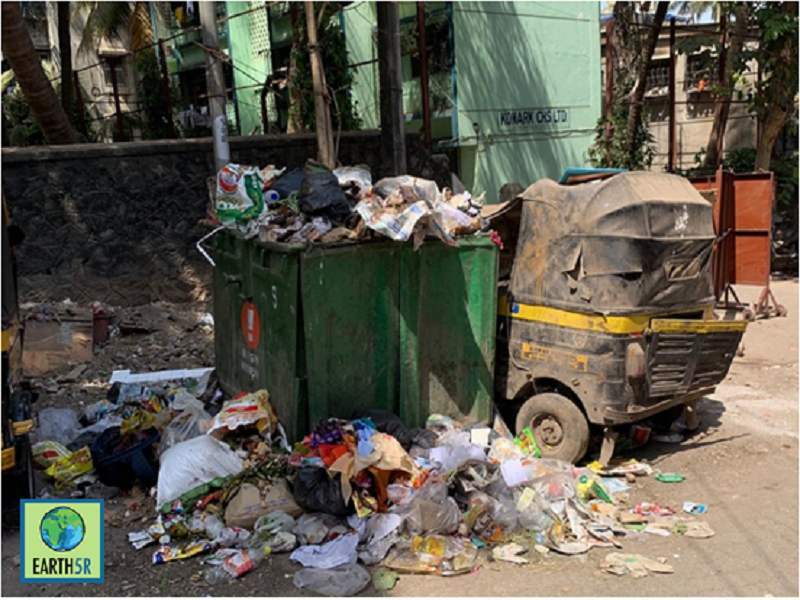 Waste is collected daily by MCGM trucks. However, post afternoon garbage, trash & waste lays on the street in many areas. Drains are present but absolutely ill-organized. 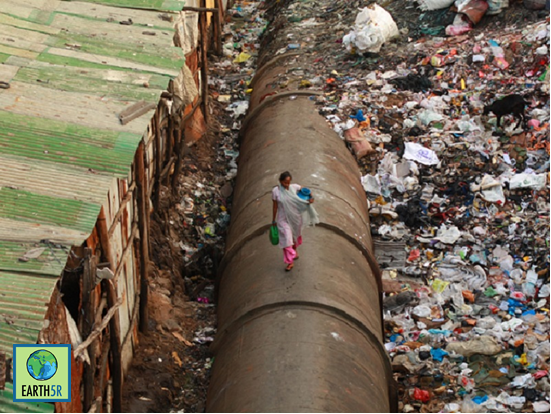 In monsoon, these drains serve as the carriers of many communicable diseases. Every year millions of people move to cities from rural areas to earn a living. Migration is also caused because of lack of employment in native areas, lack for food, climatic change & social unrest. 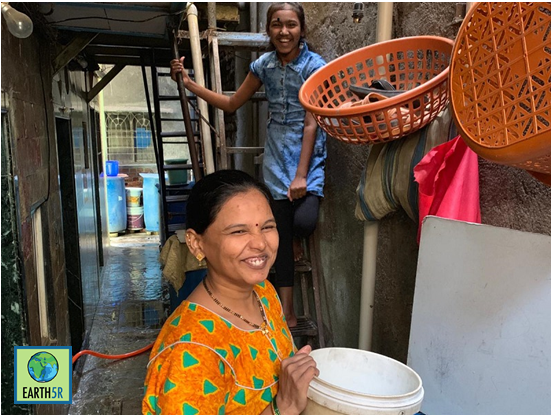 Mumbai – the city of dreams houses millions of slums communities – each being an untapped potential waiting to be channelized to productive use. Earth5R works with to make slums Zero waste communities, improving health & sanitation. 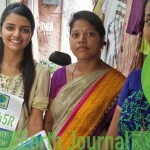 Also, Earth5R devises livelihood programs for women in slums. These are based on upcycling of waste, thus reducing the waste to landfills. The suitable solution to better the lives of the people is to regulate the inflow of people or keep a check on the number of people moving to urban areas. At the same time, policies need to be devised for providing slum communities with suitable economic opportunities, skills & training, decent shelter with water, sanitation & electricity and schemes for their social empowerment. 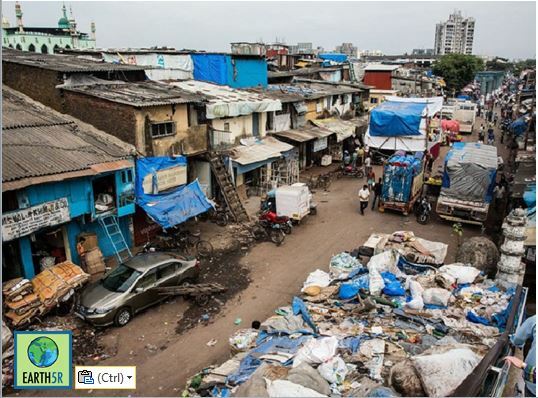 The people in the slums crave or a better life with social equality & more opportunities. Almost everyone is willing to work an extra hour to add to the family income which shows a clear potential to harness the dormant energies. Earth5R works with local communities to provide livelihood opportunities. 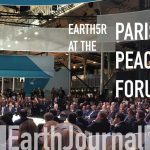 Companies in India as well as across the globe partner with Earth5R for CSR projects. 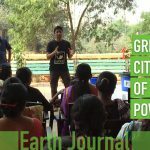 The idea is to solve the challenges of underprivileged by addressing the core of the problems and providing sustainable solutions via green jobs & circular economy. 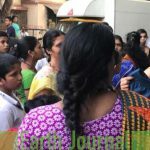 No Replies to "Sustainable Livelihood Study for Mumbai Slums"